Say goodbye to crashing apps and Safari pages loading at a glacial pace forever. Thanks to Marc Forrest, an IT guru and the web world’s new favorite iGuy, the internet has been #blessed with a trick that will clear the random access memory (RAM) on your phone and make it go way faster. How do you do it, you ask? Once you’re on the homepage of your screen, hold down the power button until the “Slide To Power Off” message appears. Now take your finger off and hold down the home button for five seconds and voilà! On top of that, the internet’s verdict seems to be all in favor of giving this hack a go. 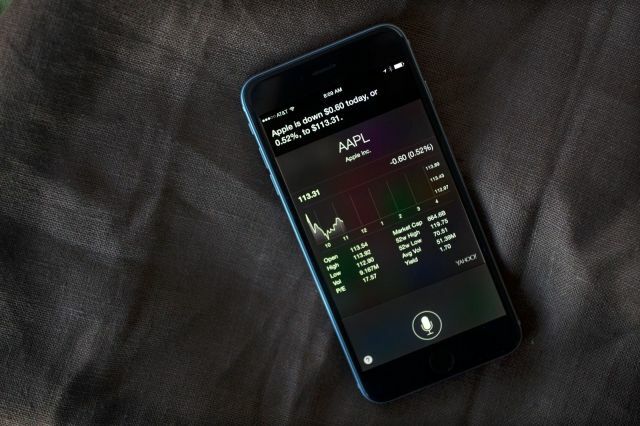 Siri: Your personal resolution wrangler. I asked Siri to set a 6:30 a.m. alarm so I could get this article written before my morning spin class. And that got me wondering what other things the young woman on my iPhone 6 Plus could do to help me meet or exceed my plans to dominate in 2015. After my wake-up alarm, I told Siri to “call me ‘Champ.’” What better way to get our relationship started than to establish a motivational nickname? I was going to go with “Tiger” or “Hero” or “Shnoogems,” but decided “Champ” was the least embarrassing if Siri shouted it out in public. 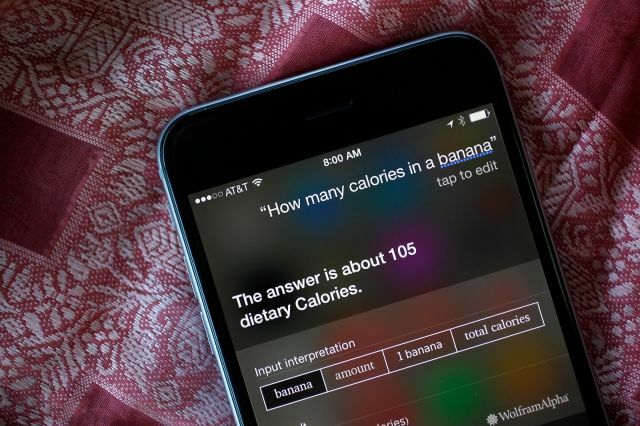 Next I commanded, “Hey Siri, search the Internet for best diet apps.” She reached out to Bing and came back with a list of articles on diet apps. I had her refine the search by saying, “Search the Internet for best diet apps 2014.” When I just said, “Diet apps,” she immediately went to searching the App Store, which was not as helpful. I finally settled on Lose It! to help me track my caloric intake and my activities. 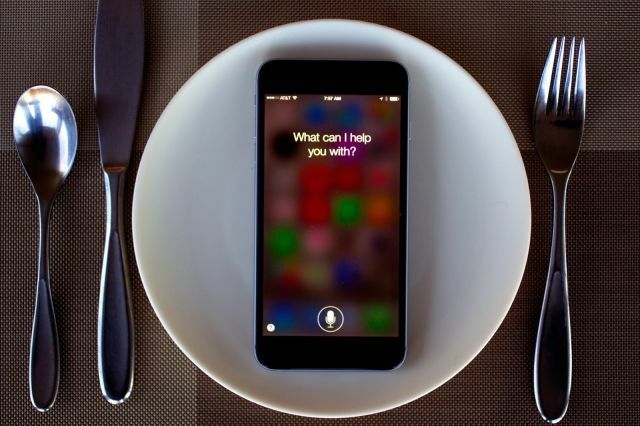 Now I can use Siri to launch the app (“Open Lose It”), but I can also use Siri to help me make healthier food choices. I started with, “How many calories in a chocolate fudge brownie?” This is helpful, of course, but then I tried “calories banana versus brownie” and she was able to give me side-by-side charts showing me my banana choice had 3.3 calories, while my brownie choice had 33 calories. I think I knew this, but was in denial until Siri showed me the proof. I can also ask her to “map” me walking directions to just about anywhere. I attempted to get her to map a round-trip walk, but I couldn’t seem to make this happen. The walking map gives me the best route and distance, but I can adjust it myself. The other great use of Siri is reminders, like my favorite: “Remind me in 10 minutes to get off the couch.” Ten minutes later she told me, “Hey, Champ, get off the couch.” Actually, she didn’t call me “Champ,” but she really should. I also weighed myself this morning and I asked her to take a note, so I’ll have a running record of my progress toward my weight-loss goal. They also say going public is a great motivator for meeting personal goals, so I can always ask Siri to “tweet” or “post to Facebook,” so all my friends can follow along with my progress. And since all my New Year’s resolutions don’t have to do with just being physically healthier, I can also ask Siri to check on my stocks. Finally, I decided to see if hearing a man’s voice would be more motivating for me. I went into General>Siri>Voice Gender and changed the young lady’s voice to a young man’s. Whatever it takes, I always say. How Apple Pay handles a canceled credit card. Update: OP on Reddit adds that the cards was already registered. Womp womp. Apple Pay is easy, convenient, and instantly popular enough that its rivals are already trying to kill it through collusion. Of course that’s when you’re making purchases. How easy is it to deal with things like canceled credit cards? Apparently, very easy, thanks to this story from Reddit user aiken. In a post on Reddit’s Apple forum aiken_ described exactly what happened when a card on your Apple Pay account gets canceled. Apparently the card gets updated with its new number. 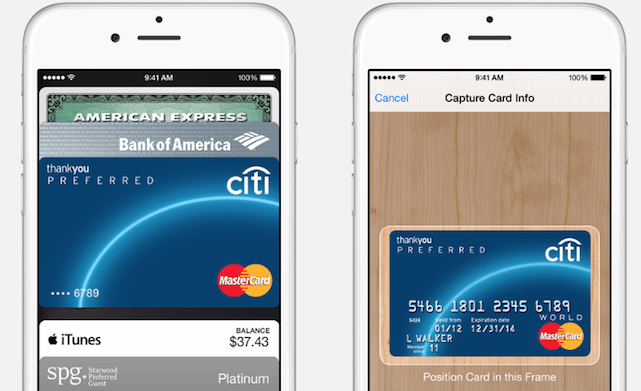 This morning, I had three Citi cards in Apple Pay: two credit, one debit. This afternoon, I got the dreaded fraud detection call and confirmed that it was not, in fact, me that was simultaneously using the card at several Best Buys in several states thousands of miles away. On the phone, the Citi rep canceled the affected card and ordered a new one to be FedEx’d. So far so good. Immediately upon hanging up, my phone had a notification saying “Apple Pay: your default card has been switched to [non-stolen Citi credit card].” Pretty smooth, and really good attention to detail in the EMVco and/or Apple Pay design. Rather than make you enter the new card number, Apple Pay will be automatically updated to replace the lost, canceled, or stolen card number for you. It’s stressful enough to have to replace a card, but in this case Apple Pay makes is so you can start using your new card, even before the physical version arrives at your house. Especially for travelers this is a feature that makes Apple Pay a killer app in the mobile payment field. No wonder their competitors are worried. How to track your UPS order with just a phone number. 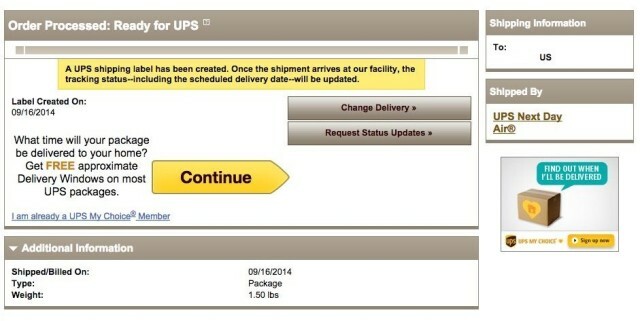 If you’re anxiously waiting on a brand new iPhone 6 or iPhone 6 Plus to come in the mail this week, you’re not alone. Tracking the package as Apple’s ginormous new smart phone wends its way to you may be the internets new past time. You should have received a tracking number from Apple when your iPhone shipped, but there’s an even easier way to keep a watchful eye on that beautiful new gadget. If you head to the UPS website, click on the Track by Reference button and enter your 10-digit phone number. Now you can get even more info about where your shiny new Apple toy is at, even if the Apple site doesn’t tell you. How to completely hide any app or folder on your iPhone or iPad. Here’s our starting screen. Make sure you have a full page of apps and a full dock. Now you need to create a folder with the apps we wish to hide. We’ll call this folder “Folder 1” for simplicity. 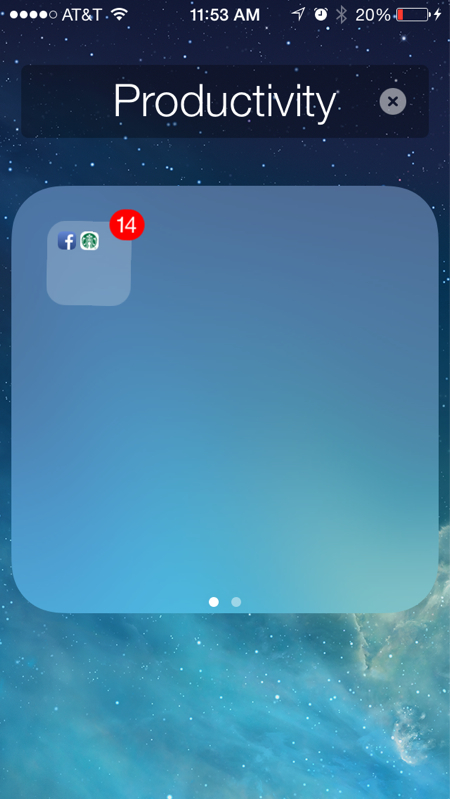 In this example I’ll be hiding the Facebook and Starbucks apps, but you can do this with absolutely any app on your phone that can be placed in a folder, including those pesky stock apps that refuse to be deleted. Next you need to nest Folder 1 within another folder, which we’ll call “Folder 2.” If you’re not familiar with how to do this, check out our iOS 7.1 nested folder tutorial here. 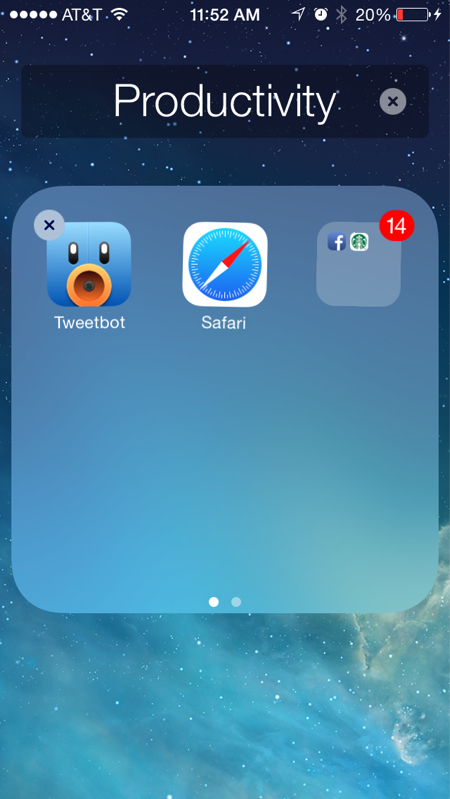 Once you have Folder 1 nested, you must remove the apps you placed in Folder 2, leaving just Folder 1 within Folder 2. 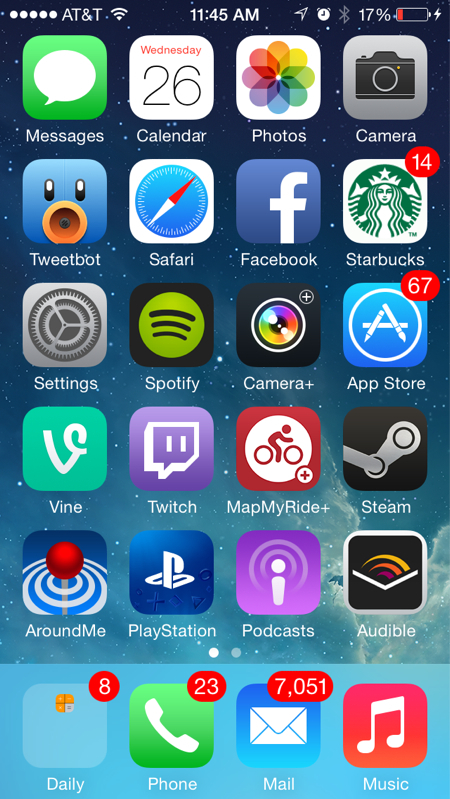 You should now have what appears to be a blank folder on your home screen. You should now have one open space on your Home screen, but we need to fill that, so drag any random app you have into that spot. Now, go into Folder 2 and highlight Folder 1 so you can move it. Drag Folder 1 out of Folder 2 and down into the dock area. This will cause Folder 2 to disappear after a second, and as soon as it does, release Folder 1 in the dock. Instead of finding a new home on your screen it will disappear completely. We have now hidden the Facebook and Starbucks apps. You won’t find them anywhere, on any screen or within any folder. Yet, you still have full access to them via the iOS search feature. 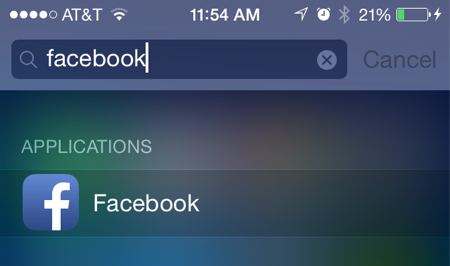 Touch the middle of your home screen and pull down, revealing the search bar. Type in the name of the hidden app you wish to use and you’ll find it’s still there and can be used just like normal. Regret the decision to hide an app? 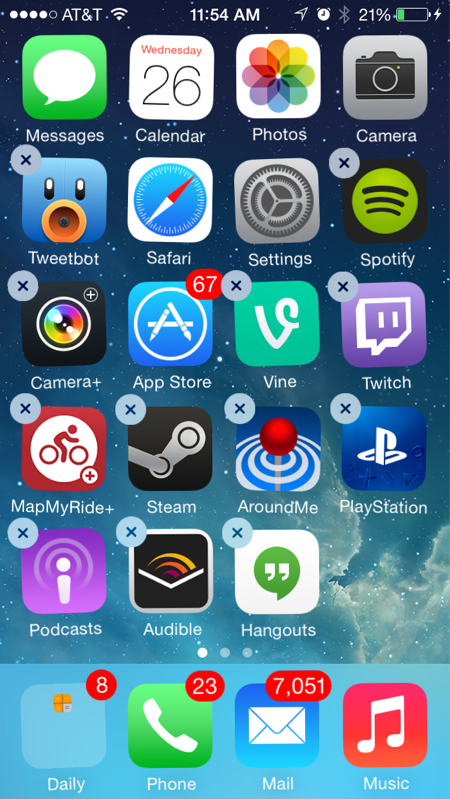 You can easily bring back all of your hidden apps by either restarting the device or by going into the iOS settings menu, clicking the “Nike + iPod” app and activating, and then deactivating it. 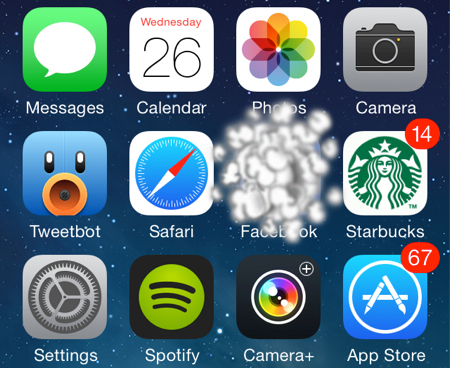 Once you’ve done so, all hidden apps will pop back onto the Home screen. As I said above, you can use this trick to hide any apps or folders you want, and still have full access to the apps via the search bar. YouTuber Videosdebarraquito uses a similar trick to hide stock apps using the Newsstand on the iPhone 4/4s, but our tutorial should work for anyone running iOS 7.1. Now enjoy your newfound power of secrecy, and don’t get into any mischief. How to set up a complex passcode on your iOS device. 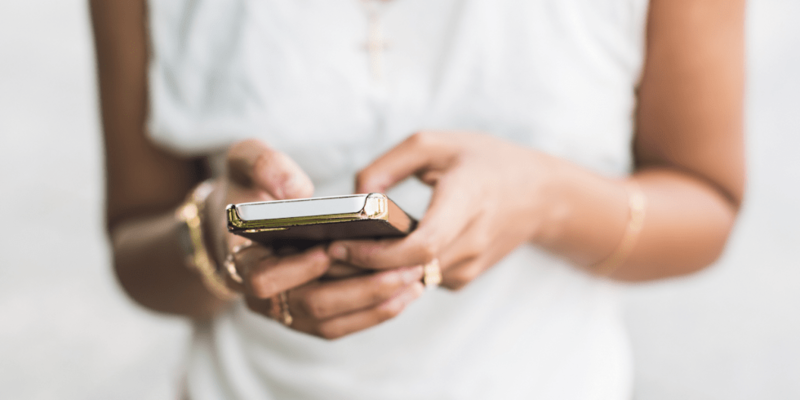 Smartphones and tablets these days store an incredible amount of information, and with much of it sensitive and personal, many users like to keep their device somewhat private by limiting who has access. With the introduction of Touch ID on the iPhone 5s, Apple sought to make iOS devices more secure by making security as simple as a fingerprint. But with Touch ID currently an iPhone 5s-only feature, where does that leave all other iOS users? 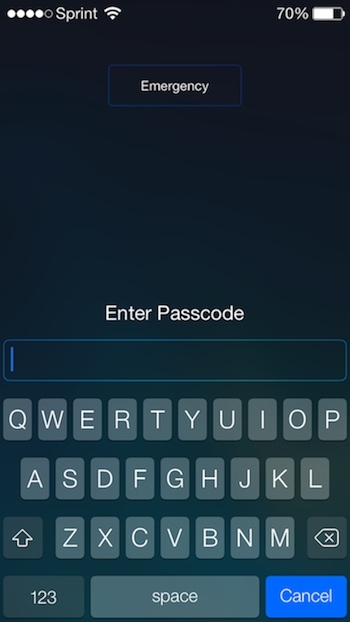 The default passcode setting in iOS 7 only allows for a 4-digit numeric string, otherwise known as a simple passcode. But when you’re really serious about device security — or just want to be extra sure no one finds out about your Taylor Swift app or questionable weekend photos — iOS 7 offers more complex passcode protection. 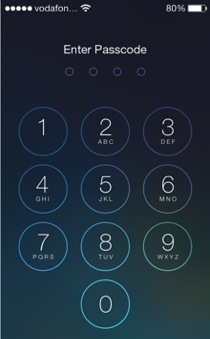 With a complex passcode, you can pick a passcode that includes letters, numbers, and special characters. What’s more, a complex passcode can be much longer than just four characters. In iOS 6, the string limit was 37 characters long. But in iOS 7 I was able to enter in over 90 characters without receiving a warning about having too long of a passcode. This makes the task of guessing another’s passcode exponentially more difficult. To set a passcode that can include numbers, letters, and special characters, go to Settings > General > Passcode Lock. If you’ve grown weary of Touch ID and would like to do this on an iPhone 5s, it’s listed under Settings > General > Touch ID & Passcode. Next, simply toggle off the “Simple Passcode” setting. If you haven’t set up a passcode at all yet, you’ll first have to select the “Turn Passcode On” option located near the top of the settings pane. While you can insert special characters like ñ or é in a complex passcode, you unfortunately cannot use emoji icons. Which is a damn shame because a passcode like this would be pretty cool. As is always the case, it’s important to make sure that your passcode is hard for others to guess but easy for you to remember. After setting up a complex passcode, your new passcode lock screen will look like this, offering up a full text-and-number keyboard for your passcode entry. Is a Complex Passcode even necessary? With a 4-digit numeric passcode, there are potentially 10^4 (10,000) different passcode options. That sure seems like a lot, but a study on common iOS passwords reveals that many people still rely on passcodes that aren’t terribly hard to guess. Some common passcodes to avoid include 1234, 0000, 2580, 1111, 5555 and 5683 (which spells out ‘love’). Also try and avoid passcodes that represent (easy to guess) birth years such as 1949, 1985, and 1999. When using a complex passcode, however, the number of possible passcode combinations increases exponentially. With about 77 characters (numbers+letters+special characters) to choose from, and a passcode that can be as long as 50 characters (at least), that’s already 77^50 possible permutations right there, making it effectively impossible for anyone to ever guess your passcode without peering over your shoulder. Even opting for a slightly longer 6 character passcode increases the number of possible passcode combinations from 10,000 to 208.4 billion (77^6). And with that, may your device always remain secure from prying eyes. As a final note, this comic strip about password strength from XKCD is on topic and worth sharing. 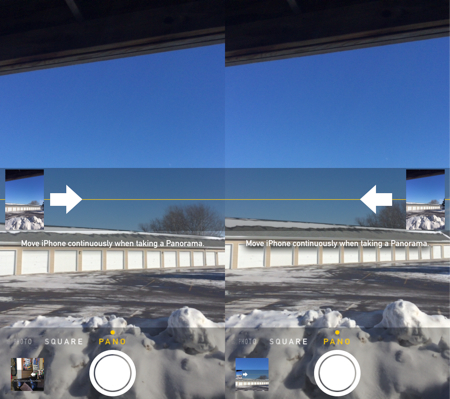 Did you know you can change the direction of the iPhone Panorama feature? iOS has always been about intuitiveness, but every once in a while, it assumes a little too much. That seems to be the case with the Panorama photo feature, which, at first glance, appears to only allow panoramas to be shot from left to right. If you were under this impression, it’s totally understandable, but there is indeed a way to reverse it! Simply tap the large, white arrow on the panorama slider to reverse it direction. The arrow will flip to the right side of the screen and you can now record your panorama from right to left. Ta-da!